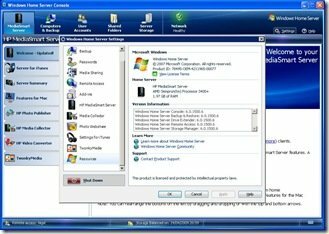 MediaSmartServer.net has hacked the HP MediaSmart Server 2.5 update to work on the first generation EX470 and EX475 servers. This is accomplished by using an add-in called SanEncore which fakes the update package into thinking it is running on a 2.1 machine, and handles some of the missing configuration items so that the 2.5 update is successful. A wiki article takes you step by step through the necessary steps, and although this is a work in progress, you gain the Twonky and S3 online backup features as well as Time Machine backup. Just need to wait for them to work out how to get the istream app working on non-HP WHSs now, and then it might be worth getting an iphone! Is it possible to install any of the HP add ins to home built whs’s? I like there photo and media management add ins but I havent heard of anyone doing it yet. Any ideas? Finally! 47x owners can stop griping! No offense guys, I’ve just read a ton of comments from 47x owners bitching about HP ditching 1st gen owners. Glad to see the news. But since I am a french HP 47X user I feel a bit frustrated. What would be the process to move my french MSS to a US system and benefit from all the good “english” stuff? @Frispo38 I have the same problem with my German HP Mediaserver ( I called it ” Der Gunther”). I bought it in Germany and use in the Netherlands because HP doesn’t sell the Mediaserver in the Netherlands. Anyone an idea? There are some folks chatting on the Mediasmartserver.net forums that have this running on other language servers by following my Wiki guide, just replacing the “Program Files” part of this install to whatever is applicable to your own systems. I tried installing it on my server. Installed all the auxiliary apps but when installing the update it failed half way through. Now I am unable to uninstall through control panel. Any ideas of how to uninstall this the HP update forcefully? Sounds like you missed a step on the instructions and ran the update EXE and not the MSI. That script is called through the EXE. 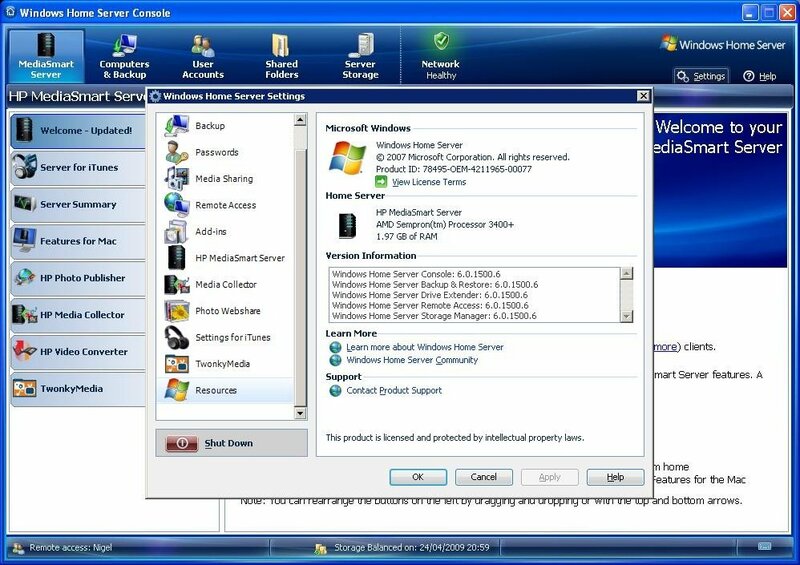 You will need to remove the registry entries for that installer package to clear the error and continue. Check the MediaSmartserver.net forums as you are not the only person to do this. I also get the error 1720. I followed all the steps, well as closely as i can because ImageMagick 6.4.0-Q16 is no longer available.